As the second wave of 2016 levels out, we are able to breathe, regroup and adjust ourselves to this new level of light, and new level of Self. Much is revealed with these waves; the choices of our highest path, highest joy and highest integrity. Follow the energy, beloveds. The purpose of these frequencies is to reveal the higher truth, to purge disharmony, and fully support the Ascension. Internal discord or difficulties in your lifestream cannot be explained away as *intended to reveal the dark. This is about the collective as well as the personal purging of what does not align with the higher dimensional expression Gaia. As always, when you personally clear what does not serve any longer, by actively making choices of a higher vibration, you affect the collective ability to release, disclose, and ascend. Integrating the merge between lower and higher selves becomes easier now. 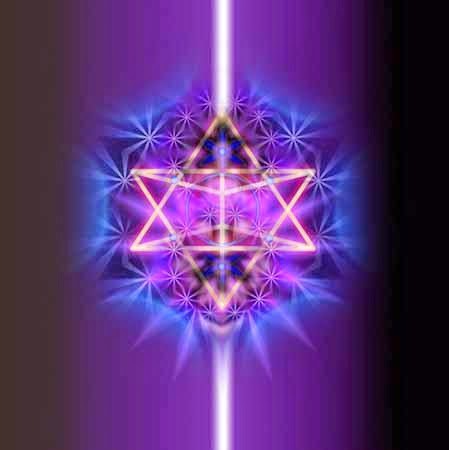 The second wave brought intense realignment, and revelations of the higher vibrational ease of the higher 5D/6D Self. We experience this in our Wednesday Unity Meditations; the ease and grace of the Christ consciousness, amplified by the collective trigger of intention. As we trust our heart center compass to direct this journey, the lower self/old self agendas have no power. We are given a great gift this year; the ability to merge with our Higher self in a stronger, clearer and more consistent way than ever before. for many this year will bring a permanent shift to Higher consciousness; the solar Cosmic Christed state of our Higher levels. Our focus is on that new perception; the perception of the Higher Self is Immaculate, pure, unaffected by the lower timelines. This Immaculate Perception is our safety net, our activation, and a Gateway to a permanent shift of consciousness. 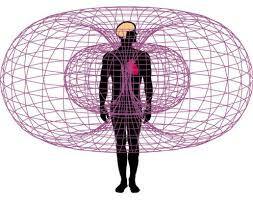 One of the more profound aspects of this phase, and there are many, is the consistent expansion of the heart center. In my experience, the overwhelming light intelligence of love overrides all lower-level constructs. No matter what the day brings, no matter what lower self/old self challenges present, there is a consistent love, peace and harmony within. As this light increases, the heart becomes a photonic generator for Solar beingness; the Christed state of crystalline consciousness. One of the most significant attributes of this state is perception; the Higher Self does not perceive things in the same way as the lower/old self. As the Higher Self takes over, the attachment to lower concerns releases its grip on this reality, and allows the higher reality to take over. That perception is priceless; it reveals that all is indeed well; all is unfolding in alignment with Divine Will. Many on the Ascension Path experience walking-in-both-worlds. This is multidimensional perception; experiencing several realities and timelines at once. Simultaneous awareness of multiple selves, situations and places is the norm for crystalline consciousness.As the lower reality dissipates, the sense of being in this world but not of it becomes our new norm. I understand there is a belief system attached to being fully aware of the lower self, as if being entangled with the lower reality is somehow more grounded than the higher reality. In my experience, the changes of 2016 reinforce the practice of grounding through the heart to the multidimensional torus system (as opposed to tethering yourself to the illusion of 3D Gaia). There is great comfort in expanding into the new. Lower fears do not block us when we expand through the heart center and keep our focus there. Through this practice, we evolve out of lower-level restraints, and are fully capable of walking in this world and multiple others with clarity and purpose. The key is to not abandon one reality for the other. That is duality (choosing/judging one or the other as good or bad). 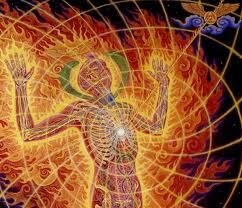 Multidimensional perception is the all-at-once experience. We begin by toggling between multiple dimensions until we can comprehend several at once (or focus on a specific moment at will). It gets easier as our DNA, heart center, brain, and the pineal-pituitary activate and open up the gateways to the Higher Self. Most initiates experience the backing away of their Divine Entourage or guides at key points in their Ascension. This happened to many on the path during the last few months. It is a purposeful test; one that initiates are very familiar with. The higher realms take off the training wheels on occasion to see if you can navigate the path alone, inventory what you have learned, and see if you are capable of maintaining Mastery without direction. This happens several times in our journeys, and is a good test for the integrity of your guidance teams. A day or two absence is normal. Several weeks may mean you are getting fresh guides, or need to learn how to stand on your own feet. Observe how you handle their absence. If you collapse without them, or cling to external messages as your compass rather than your own heart, you’re headed back to the basics. A guide break is not about struggling along the path alone. It is largely to point you in the direction of the Higher Self merge as your main focus. The Higher Self is ever-present and is often misinterpreted as a guide or angelic due to its luminosity and unconditional love. 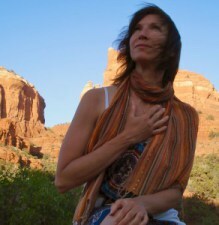 During guide-breaks your ability to unify with the Higher Self, unify with the light tribe (co-creation), ask for help or support (drop the ego, be genuine), and maintain respectful, heart-centered communication with others (authenticity of heart/integrity) provides a leveling up opportunity via lessons in heart-centered existence. 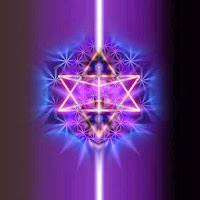 Remember Ascension is largely based on vibrational match; in order to merge with higher realms, you must communicate, demonstrate, feel, think and behave as the higher realms do. There is a great deal of momentum building as the new light breaks apart old programs, systems, and beliefs. July and August are a grand opportunity for the NEW after the tsunami of the second wave has calmed. We are changed beings; recognize the internal changes pushing you to abandon the old self. It is part of the cosmic agenda to dissolve the past and any attachment to it. As our DNA and light bodies are rewritten to accommodate the Higher Self, the physical exhaustion from activations can be distracting. Notice how the Immaculate Perception, the cosmic overview of Divine Love, instantly overrides any lower-level concerns about energy levels or ability to complete the Ascension. The experience of a conscious evolutionary process – completely changing an expression of form in just one incarnation – is extraordinary. Remind yourself of the beauty of self-realization. It is an amazing task to awaken and ascend one’s consciousness while in form. You may have noticed the stronger presence of star family in the last few weeks. As your perception shifts to the cosmic overview, it becomes easier to make contact with benevolent beings serving out pre-agreements for this particular passage. Call forth the benevolent ones you have contracts with to assist you in higher service at this point in the process. Momentum will continue to build for the potent third wave Gateway of September, however July and August bring an opportunity for new co-creations, relocation (aligning for the next wave), active play time (well deserved), star family contact (connect with your visiting orbs), heightened lucid dream activity, and fearlessly exploring what the new self is capable of. The second wave washed away old stories; the past feels like it didn’t even happen. It is time to experience the new story we are co-creating with our Immaculate Perception.